When you do Class.forName("com.mysql.jdbc.Driver") to load and register this driver class, the class loader in JVM search for this class inside all JAR files available in CLASSPATH. If mysql-connector-java-5.1.25-bin.jar, which contains this class is not available in CLASSPATH then JVM will throw java.lang.ClassNotFoundException: com.mysql.jdbc.Driver at run-time. Remember, there won't be any error during compile time because your program has no direct dependency to this JAR i.e. its not using any class or method from this JAR directly. When Class.forName() method will execute at run-time, it will try to find the driver class provided as String argument and throw this error if its not able to find it on classpath. Solution : You can fix this error by deploying mysql-connector-java-5.1.25-bin.jar into your application's classpath. If you are not sure how to set CLASSPATH, follow instructions given in that article. Depending upon your build tool you can do following to fix java.lang.ClassNotFoundException: com.mysql.jdbc.Driver in Eclipse, Maven and Gradle. Choose Build Path and choose configure build path option. Find and add mysql-connector-java-5.1.25-bin.jar into Eclipse's classpath. If you don't have MySQL driver JAR, you can download it from maven central library or directly from MySQL JDBC driver website. Fixing this error in Maven is bit easy, just add following dependency in your project's pom.xml file. 3. 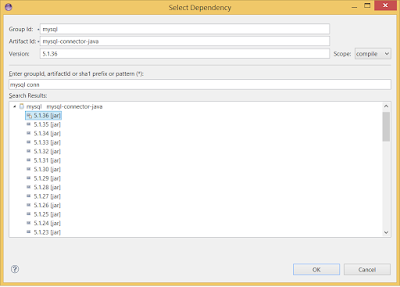 Click add and search for MySQL connector, once found choose the right version and that dependency will be added into Eclipse Classpath via Maven Dependency. 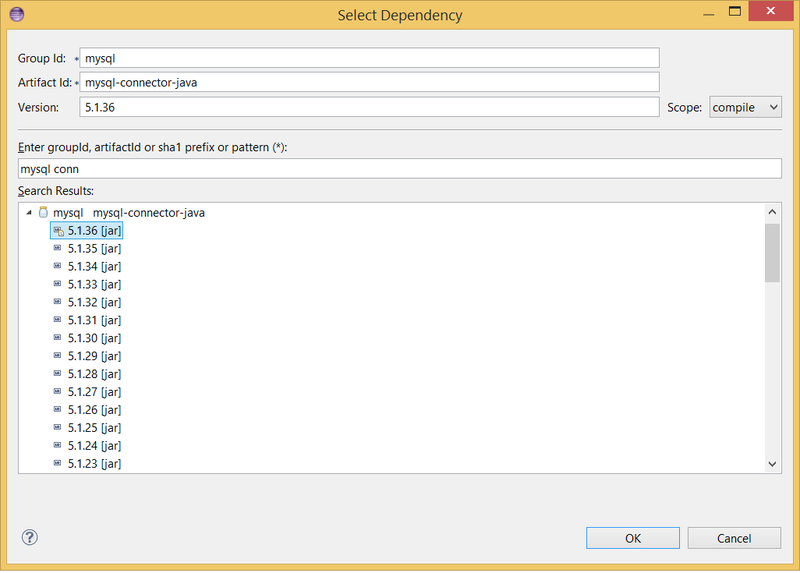 If you don't see mysql-connector-java-5.1.36-bin.jar inside your Maven Dependency, just update your Maven project or run maven install command by doing right click on Maven Eclipse project and choosing Run As - Maven Install. That's all about how to fix java.lang.ClassNotFoundException: com.mysql.jdbc.Driver error in Java. The error should gone as soon as you deploy MySQL connector JAR file into CLASSPATH. IF you see this error even after deploying mysql-connector-java-5.1.25-bin.jar in classpath then its certainly an issue with classpath. It's possible that your classpath is not set properly or your application's classpath is overridden by some settings. check these steps for further debugging. the version that was installed by MySQL is mysql-connector-java-8.0.9-rc-bin.jar. Although I tried mysql-connector-java-5.1.46. I have been wrestling with this for a couple of days now without success - so I am missing something very simple. I am using notepad++ to build a simple test file (I do have Eclipse but I wanted it to work first in a more generic scenario) and compiling by command line. I have the path to the version 8 connector in my environmental variables (removed the path for the version 5.1.46, of course) - rebooted several times and checked that echo %PATH% had the path there. So the JVM has no excuse to not find the jar file. Just a little puzzled here - would appreciate any insight into the problem.